The setting on the ocean was just great.We enjoyed The two golf courses were excellent. The food out side the gate entrance was A plus. We would be more than willing to return to Seabrook. The accommodations in the cottage were first class. We love Seabrook and have stayed at the same cottage many times. Our yellow lab loves the ocean and we love food in Charleston, walking the beach and shopping in Fresh Market. Very quiet and peaceful. 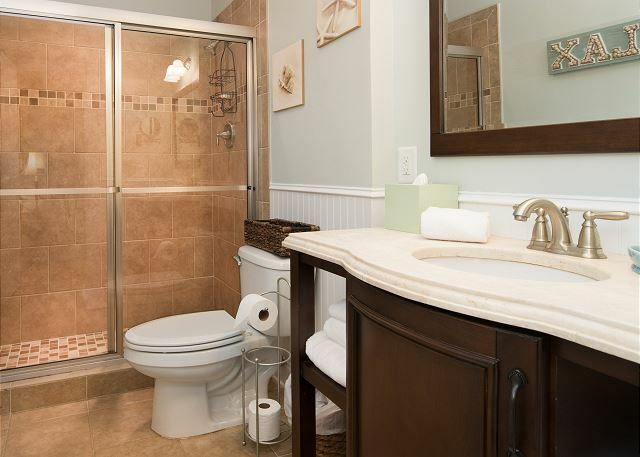 Tastefully decorated and very clean. Back porch great way to have a cup of coffee and start your day. Betsy with Seabrook Exclusives and team are outstanding to work with. My family had a wonderful time on beautiful Seabrook Island. We look forward to our next visit. We had a great vacation at Seabrook- about our 26th visit. We really like the 1132 Summerwind cottage- have stayed there five or six times. 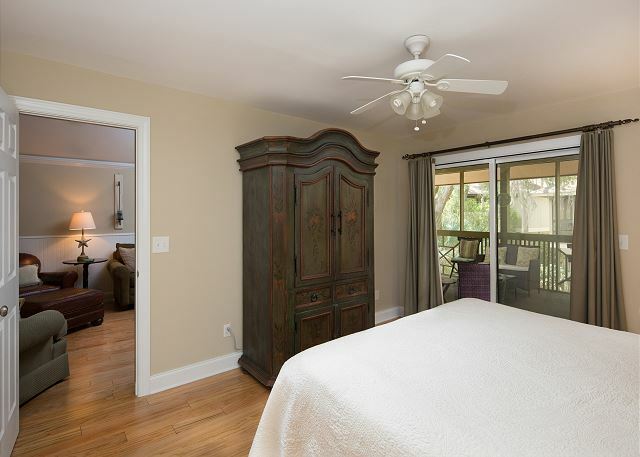 The owners do need to repair the light on the fan in the back guest bedroom. The fan worked, but not the light. We had a lot of rain that week- a first for us to have rain all week. However, we still were able to walk the beach daily, except that Thursday which our Lab loves. He loves retrieving in the ocean. We love going to Fresh Fields to shop and to Charleston for great meals at Magnolias, SNOB and Blossoms. 1132 Summerwind is always well maintained, clean,and funcions beautifully for us whether it is just us and Dwayne, our dog, or with family or friends joining us there. The location is close to both beaches. Bike riding on the island is perfect. A great, breezy, well appointed cottage with a fabulous location. Biked everywhere! Shady cul de sac made this cottage very friendly. Even ample kitchen utensils, pots, pans, dishes-everything I needed to prepare a large family reunion dinner for 25 adults and more kids. Love Seabrook and its low-country beauty. Thanks for amenity cards, WiFi, good cable. Well maintained and decorated. Recommend Lokal Seabar in Bohicket Marina. Would definitely rent this home again! 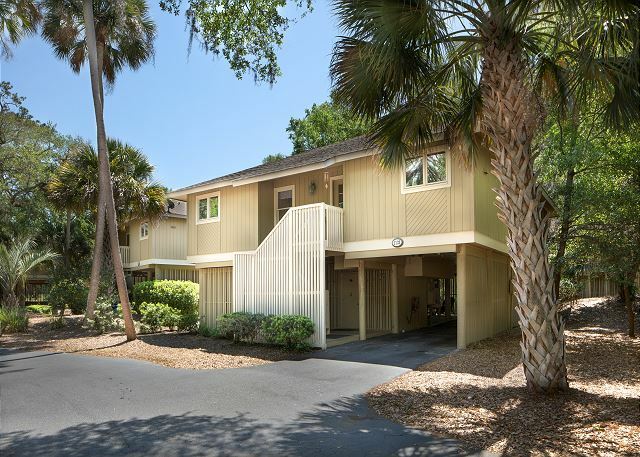 This was our fifth vacation on Seabrook, and of all the rentals we have be stayed in over the years, 1132 Summerwind is our favorite. The house was clean and well-kept, nicely appointed, and laid out perfectly for our three-generation family. And we appreciated being able to bring our beloved dog. Seabrook Exclusives is friendly and professional. We would definitely stay here again! Great weather, great time....toaster didn't work, shower valve in-op, but replaced and fixed promptly respectively. Our yellow lab loved the beach as always. We'll be back! Beach, pool, boat tour - what a great trip! My family, including my fur babies, enjoyed our week at your property on Seabrook. The cottage was very clean, well furnished, and a very private location. The property manager provided an acurate description of the cottage and made check-in and check-out procedures quite easy. I will return and recommend this cottage to my friends. This was an excellent rental. 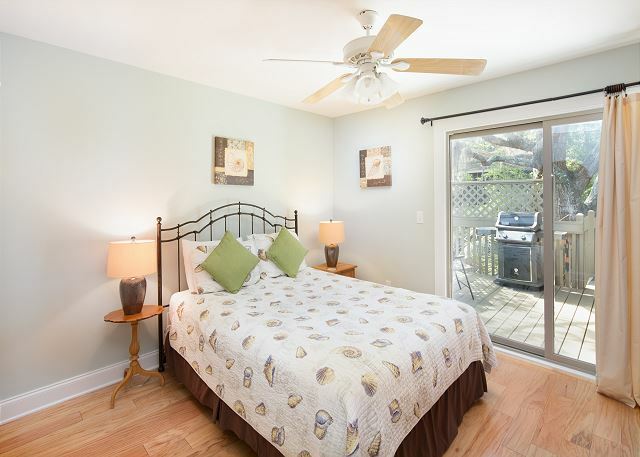 Very clean, updated, spacious and pet friendly. Many times pet rentals are dingy. This location was not. We would gladly stay here again. We had stayed at this propert before, and again enjoyed our stay very much. The family loves the hammock, and the door plan is very nice. Also the home was very clean. Wish We Had Another Day or Two! The second time around was just as great as the first time. We especially enjoyed the grill and all the accommodations at this cottage. Booking the week was easy and the phone calls from the office at the beginning and end of the week were appreciated. We look forward to next year. Had a great time at Seabrook, as usual! 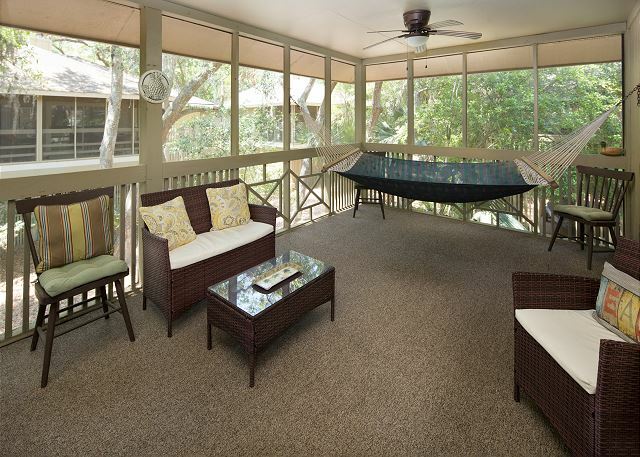 This villa is spacious with a large screened porch with hammock. Updated and great place especially for your furry friend. We really enjoyed our stay in this updated cottage. It worked well for us and our two young children. 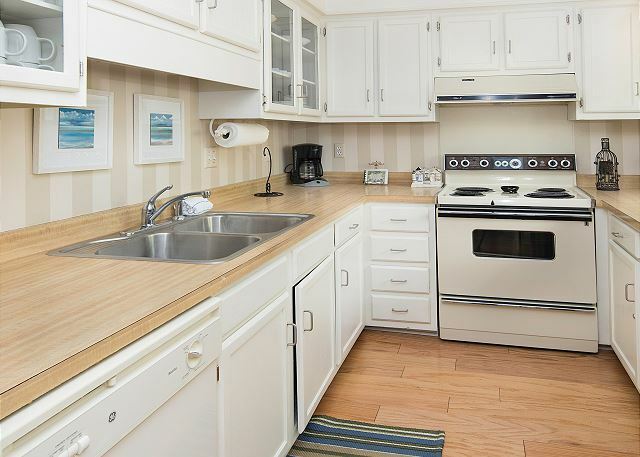 The location is convenient to the beach and beach club pool area. This was our second time staying in this cottage and hope to rent again soon. Overall a great experience. We were able to check in early. We met the greeting staff Amy, who showed us the do's and don'ts which we appreciated. Home was very clean and amazingly no bugs for a coastal rental. Would definitely rent unit again and use Seabrook Exclusives. Very enjoyable. Peaceful, beautiful area. The cottage was clean and well kept. We all liked the hammock in the screened porch area. Good seating for our group and the rest of our group that stayed in the Spinnaker. 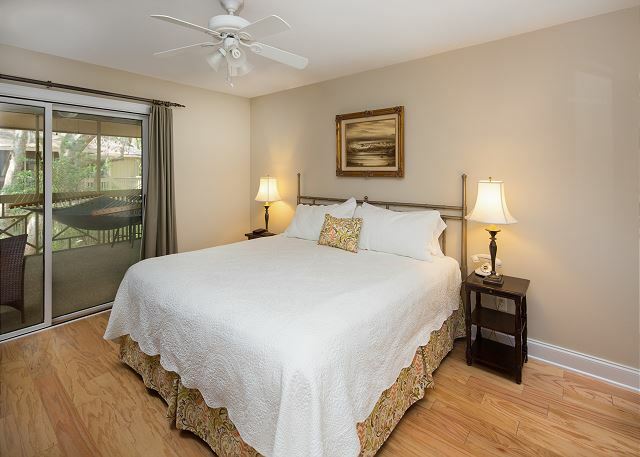 We would recommend Seabrook Exclusives to anyone wanting to visit Seabrook Island. The management helped us with getting the bikes that we had reserved the week before arrival. I had called the bike company, but did not get a response until Betsy from Seabrook Exclusives contacted them. The weather was excellent for this time of year. Our group enjoyed biking, spending time at the beach, golfing and exploring Freshfields Market. We also took a trip to Charleston to see the Battery and have lunch at Poogan's Porch. For groceries, Harris Teeter's had a great selection of food and other items at reasonable prices. Although we didn't use the outdoor pool at the Lake House, I enjoyed touring the new facility. 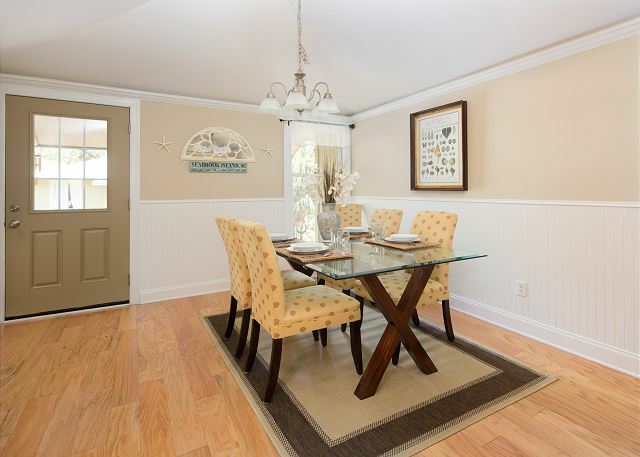 I would recommend for anyone having a large group staying at Seabrook to start your search as early as possible so your group can stay in a large home or have rental properties close together. We either had to drive or bike to get together. A lovely winter break vaction. The cottage was so very tasefully appointed and decorated. Perfect for a relaxing. Would love to return in the summer time. Sandie the dog loved it as well! we all had a great time! the house was clean and very comfortable! we would rent again next year! We had great weather, a well furnished and conveniently located cottage, which also accommodated guests for a couple of days. A very positive experience. Our unit was very clean and well appointed. My family especially enjoyed the hammock on the screened porch. Kayaking the marsh areas was incredible! Clean. Quiet. Roomy. We had a great time. Short bike ride to the club house. We would consider this property again. Great value. The house was perfect, well maintained and clean. The location is ideal and provided our family with a great "get away". We rented bikes during our stay and explored the island. Would highly recommend this house to anyone that is looking to enjoy time with their families....5 stars! Everything was quite nice. Would stay again. Only disappointment was would have preferred more toliet paper, paper towels, and soap for a group of six people. We have stayed at several other properties, and we have always had ample supplies of those necessities. Thank you. My husband, Charlie the dog and I have stayed at this vacation home twice now. The house has all the amenities you need. 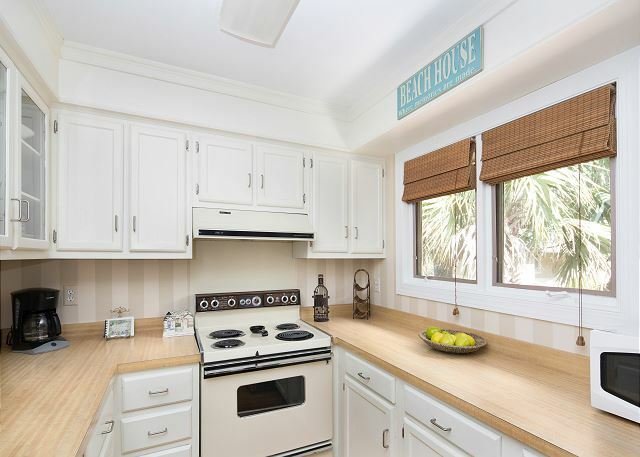 The kitchen is well stocked with utensils, linens and beach chairs. 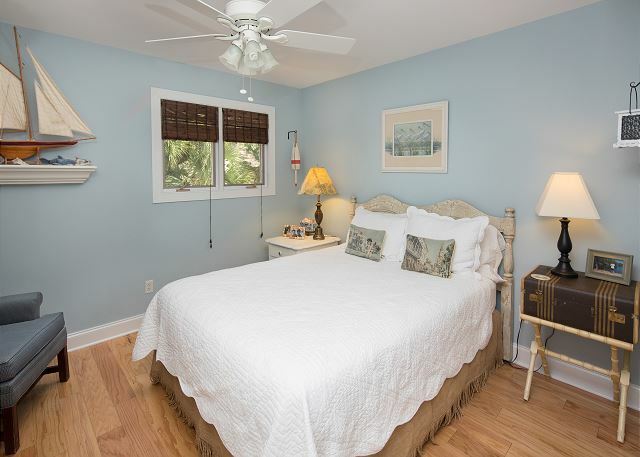 The house is very clean and cozy for a relaxing vacation. The screen porch is a nice place to have coffee in the morning and dinner in the afternoon. The property is very convenient to the beach and pool. Rent a beach cruiser and you don't have to move your car. We brought the dog for the first time and had a great experience. The house was lovely and easy to care for. Floors were easily swept for sand which was close to impossible to keep out of the house, even when we left our shoes at the door. Wow, that is my initial response. This week was exactly what my family needed. We had been dealing with a lot of unknowns in regards to my wife's health and this week allowed for peace and rejuvenation. During the day I was able to do business in the Charleston area while my boys continued their homeschool schedule and my beautiful bride was able to rest in tranquility. In the evenings we enjoyed the beach, pools, game room, crab dock, etc. We had the privilege of keeping our dog, Bear, with us as many times we have to find care for him. The last night was epic. I came home early from work. We went and played at the game room, then ran down to the crab dock and caught a few blue crabs. We then ordered a pizza and went to the beach. Nothing like eating good Pizza, watching dolphins, seeing fisherman reel in sharks, gazing at the shrimp boats coming in with their entourage of pelicans and experiencing a gorgeous sunset on pelican watch beach. We can't wait to go back. The home was perfectly set up for my family. With two boys the 3 BR was great. We ate dinner on the screened in porch almost every night. One night we played games out there while listening to the rain and thunderstorms. It was amazing. Highly recommend renting a home on Seabrook. I know we will again, Lord willing. Great location, outstanding reservation & support staff, nice screened porch, loved napping in the hammock! Great rental property. Enjoyed our stay. Will stay again!!! Only thing we found an issue with was the DVD player.....could not get it to work properly once connected. Kids wanted to watch a movie, otherwise no big deal. Unit was clean! 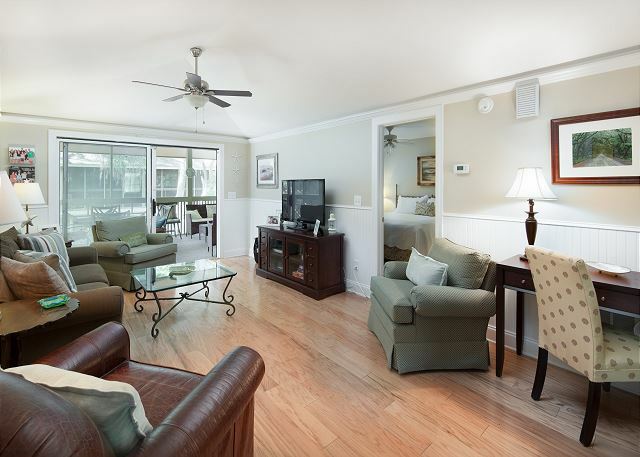 Thanks for sharing your beach home with us. checked DVD it does work. Sorry you had difficulty! Please call our office for assistance anytime. As you know, I also am a Summerwind owner and as a matter of fact, just 2 cottages away. My children throughly enjoyed their stay in Summerwind and we enjoyed the closeness of their stay. Thanks! 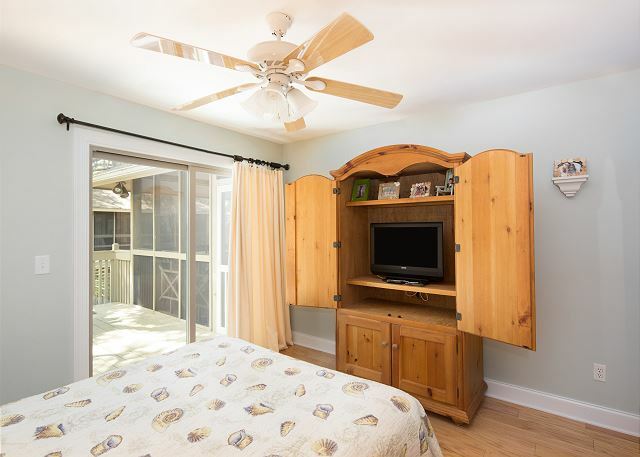 Very nice cottage with screened in porch including a hammock. We really enjoyed that added feature. 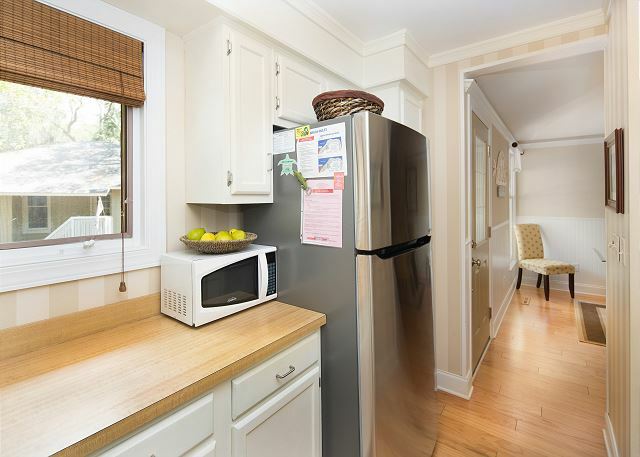 The rental property was clean and the kitchen was well equipped. The location was great. We really enjoyed our time on Seabrook Island. We bought a property before our stay ended. 11:30pm at night while we were sleeping. Someone kept dialing the number and when we answered it, they hung up. We had a wonderful visit in Seabrook and really enjoyed our stay at this cottage. 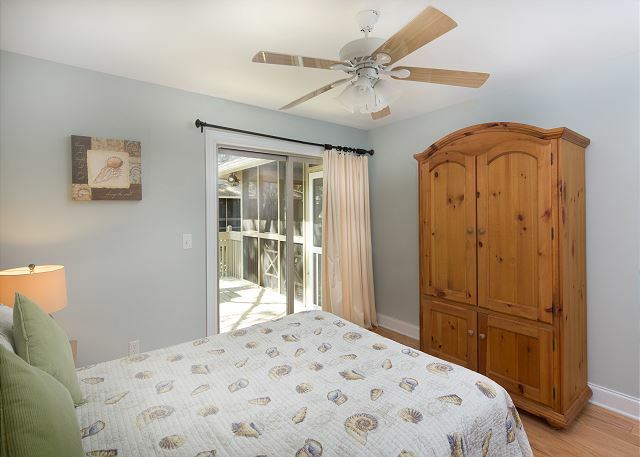 This cottage was an easy, comfortable, low-maintainence rental. The cottage was well-equipped and having a full-size washer and dryer was a real plus! The owners have made quite a few nice upgrades. The living room is very comfortable and the master bath is lovely. I'd love to see an upgrade to the other bathroom too. My only criticism with this cottage is that the living area and master bedroom get very little natural light so it is quite dark. We were out enjoying the beaches and pools most days, so it wasn't a big issue for us. We would definitely consider renting this place again! This was our third year in a row for vacationing on Seabrook Island. We like the relaxed and secure environment. The villa was in a good location for accessing the beach or the pool. The kids can take their bikes and go without too much worry. We will definitely be returning. This place is very nice. It has been very well maintained and udates are very present. The area is very beautiful, calm and cool. I would recommend to anyone. It does accomendate pets, but you would never know it. The evadince of pets is very absent (no hair or odor). I look forward to next years stay at this house. This was a great family vacation, the condo was well appointed and there wasnt anything that we needed that it didnt have. The grounds were amazing, and tons of wildlife walking around. We had a wonderful time and will visit again. This home was exactly as advertised. The kitchen was extremely well stocked and clean. We spend a good amount of time on the screen porch and it was lovely. I am missing my daily nap in the hammock! :). We will definitely rent this house again. We thoroughly enjoyed our stay in Seabrook and the cottage was very nice. The size was perfect for the 3 of us (one being our dog)and the place has recently been renovated so it was clean and very nicely appointed. I only wish it was closer to the nicer beach. This was our first visit to Seabrook but won't be our last. We plan to return for annual vacations in the future. The location was beautiful and the villa was perfect!!! We loved being able to bring our small pets and having all the members of our family on our vacation. Thank you so much!! The cottage we stayed in was clean,neat, and included all the amenities one would want in a home away from home. 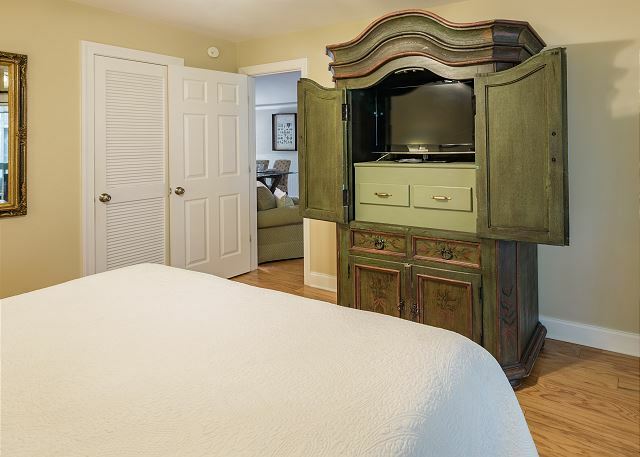 The king bed was very comfortable, the flat screen TV worked flawlessly and all the kitchen ware left nothing to be needed. Booking our reservation was very professional and courteous and when we encountered difficulty with the dead bolt lock we were assured the problem would be corrected.We plan on returning in the future. It was awesome. Really. The whole experience was restful, fun and invorgrating at the same time. My sister and I had the best talks and the food was awesome and we decided that Seabrook Istland and Charleston are places to go to heal from the hustle and bustle of life. Get healed and start again. On our last day we did not want to leave. Thanks - this is one of the best vacations we've ever had. Seabrook is even better 9 years later! Our lab loved the ocean, his 1st experience. The unit we rented was across the drive from one we rented many times in the past, so we were very happy with the location. We had perfect weather for our entire stay, it just doesn't get any better. We are already talking about returning to Seabrook. Thanks for being dog friendly, that makes a huge difference for us. Please keep the island ready for our next visit, maybe a month next time. Tom and Faye Pyatt, and Dwayne our lab.